With the 5 in 1 system from BigChange, Gartec field service engineers use smartphones or tablets connected in real-time to cloud-based software that manages the entire business process from initial call to closure and invoicing. Gartec has been at the forefront of the platform lift industry for 25 years and is a subsidiary of Artico, the Swedish lift manufacturer. Employing 50 people and based in Aylesbury, Gartec supply, install and maintain lifts with a team of 20 service engineers together with sub-contacted installers. JobWatch – the BigChange system – has completely replaced separate software systems used for service management, audit management and tracking, and added a host of new automation capabilities. Gartec has initially implemented JobWatch within its service maintenance division but roll-out to the installation services side is planned soon. 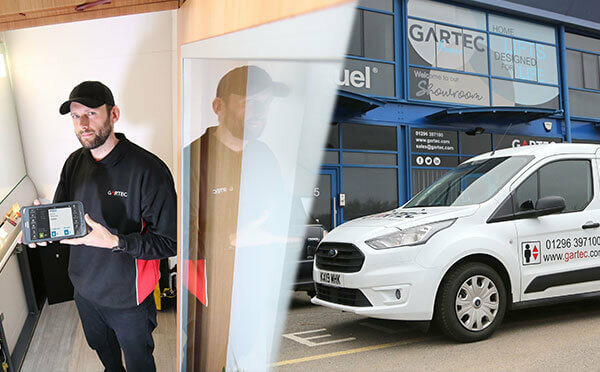 Although much of Gartec’s service work is undertaken as part of Planned Preventative Maintenance (PPM) contracts, the company provides 24/7/365 emergency services with guaranteed response times of typically 4 hours. Customer service staff use BigChange to log incoming calls and then plan, schedule and allocate jobs to engineers, who in turn use their smartphones running the JobWatch App the gives seamless two-way connection with the back office system. Gartec particularly like the bespoke functionality and reporting capability of BigChange, allowing changes to be made easily to suit their needs. 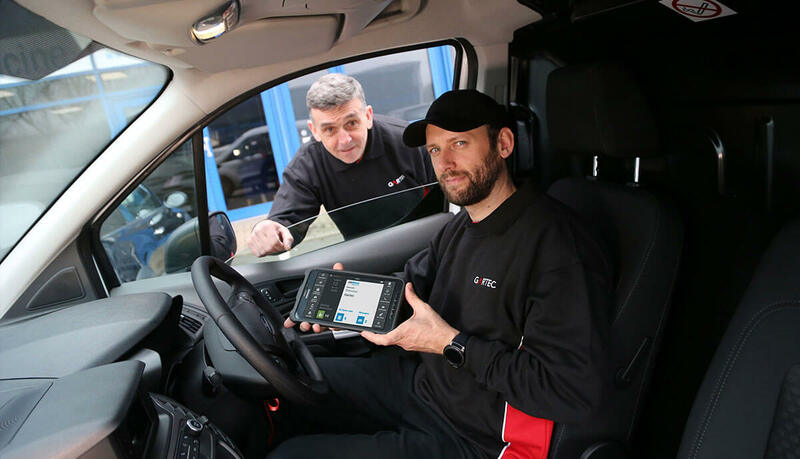 Customer service has also benefited with the improvements in information and communication – automated emails confirm orders and call outs and accurate ETAs are provided using data from BigChange GPS trackers fitted to Gartec vans. Armed with better information, there are immediate benefits on the financial side. BigChange and Gartec have jointly developed a series of automation tools to support the project management of installations. The application takes project engineers through a series of pre-defined procedures for step by step task completion. Backed up with site photographs that can be annotated with a drawing tool, customers are fully informed of what site work is required prior to installation and installers are provided with clear installation guides; all generated using JobWatch. Gartec is also very enthusiastic about the benefits of BigChange vehicle tracking which not only helps operations and customer service but is being used help cut fuel use and monitor drivers. Previous PostLeader for Life monthly Best Driver Winner, tells us why driver safety and accountability is essentialNext PostHow can the service sectors best prepare for a millennial driven work force?